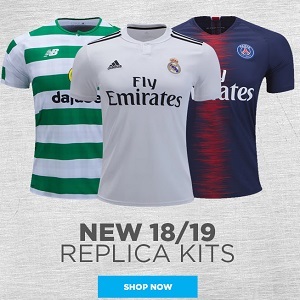 Copa América 2019 hosts Brazil unveiled their Nike home and away kits for this summer’s South American football championship on Tuesday with modeling by Real Madrid star Vinicius Júnior. Both will be on sale at World Soccer Shop, UK Soccer Shop, Lovell Soccer, Pro:Direct Soccer, Subside Sports and Kitbag. The highlight of the launch is Brazil’s first white jersey since the introduction of the team’s famous yellow primary shirt in 1954. The commemorative kit is inspired by the one worn by Brazil during the first ever Copa America in 1919. The team made history that year by winning the tournament at home and starting a journey of victories that transformed Brazilian football into a national icon. The Brazilians will wear the Copa America 100th Anniverary Nike kit on June 14, against Bolivia, at the Morumbi in São Paulo. Brazil’s 2019/20 yellow home kit makes reference to the Seleção of 1989. Brazil hosted the tournament for the fourth time and maintained the status of being crowned champions every time that it did so that year. The V-neck of the jersey gives way to a classic green polo shirt design that resembles the Brazil home shirt of 1989. Brazil will wear their blue 2018/19 away uniform for until the end of the ongoing international soccer calendar.